Pixen is one of my favorite Mac apps. If any of you follow me on Twitter or similar, you will have seen my Scary Baby avatar. That was built by me, one pixel at a time, in Pixen, probably running on an old white iBook. 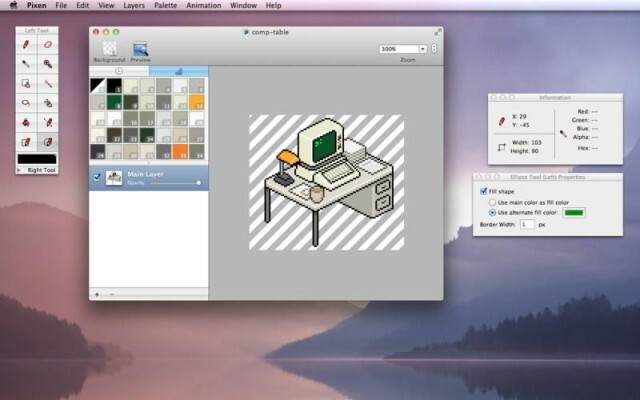 Pixen is — as you may have guessed — a pixel editor for the Mac, and now it’s available in the Mac App Store. Makes me hungry just looking at them. 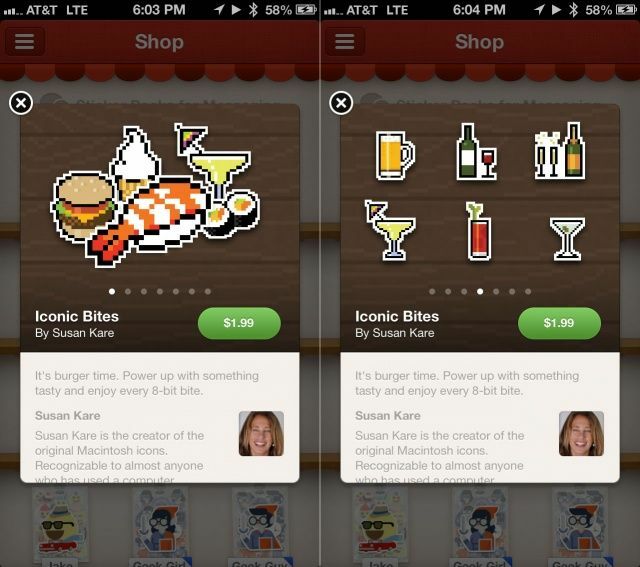 Personal social networking app, Path, just released a new icon set into its sticker shop today, called “Iconic Bites.” While the stickers are adorable little bite-sized, pixel-chic representations of food and such, what really makes them cool is that they were created by none other than Susan Kare, the designer of the original Macintosh system icons. The Path blog posted an interesting interview with her, as well, in which she talks about how her long experience in the design industry has influenced her current designs. It’s looking increasingly likely that when Tim Cook takes the stage at the annual WWDC keynote on June 11th, Apple will announce new MacBook Pros and possibly iMacs, and if the rumor mill is to be believed, these new machines won’t just be slimmer and ditch their optical drives… they’ll be the first Macs with Retina displays. What everyone widely expects from Retina display Macs is an iPhone or iPad-style resolution doubling. So if the current 15-inch MacBook Pro has a 1,440 x 900 display, the Retina 15-inch MBP would have a 2,880 x 1800 display. What the rumor mill is missing is that there’s no benefit to Apple handling a jump to Retina display Macs this way. 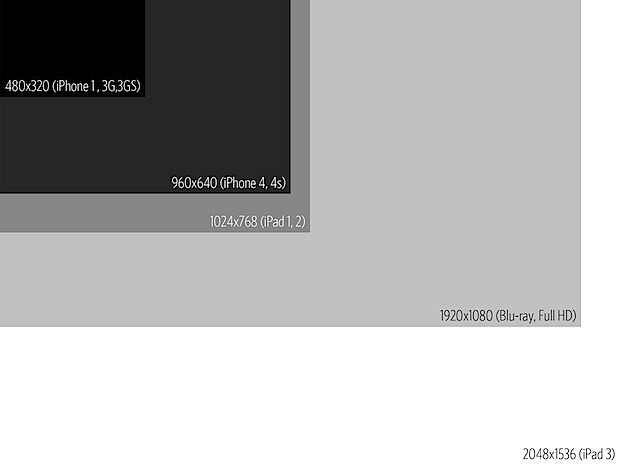 The reason the iPad and iPhone going Retina was such a big deal was because they had really pixellated displays. 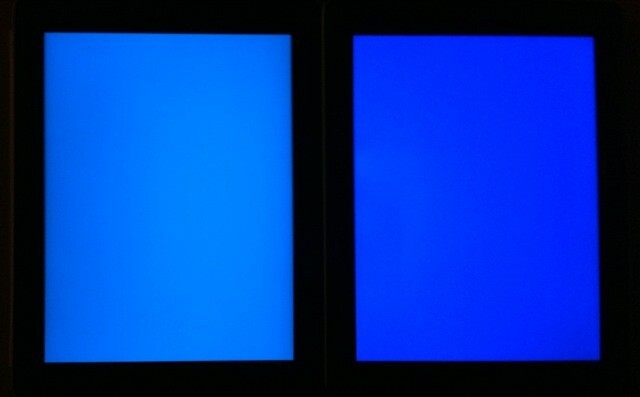 Before the iPhone 4, the iPhone had a display that was only 53% close to being Retina. The iPad was slightly better, at 61%. Roughly, both the iPad and iPhone were only about halfway there, which made the easiest fix to just double the amount of pixels per inch. But Apple doesn’t need to do this with its line of Macs. 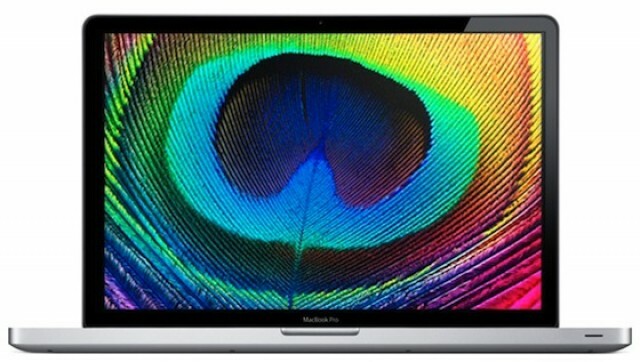 In fact, it’s likely that most “Retina Quality” Macs will have fewer pixels than your new iPad. Here’s why. The new iPad has much improved colors, but at the expense of battery life. The first thing that hit me when I powered on my new iPad wasn’t the retina-ness of the display — that takes a little time to seep into your brain. No, it was the colors. They seemed more contrasty, more saturated. More colorful. But just what was going on? Jeff Yurek, of the Dot Color blog, did some scientific digging. We now know that the new iPad uses retina images when blowing up iPhone apps to fill its big screen, but what does that mean exactly? It’s one thing to know that Spotify doesn’t look horrible anymore, but it’s another thing entirely to see the differences side-by-side. 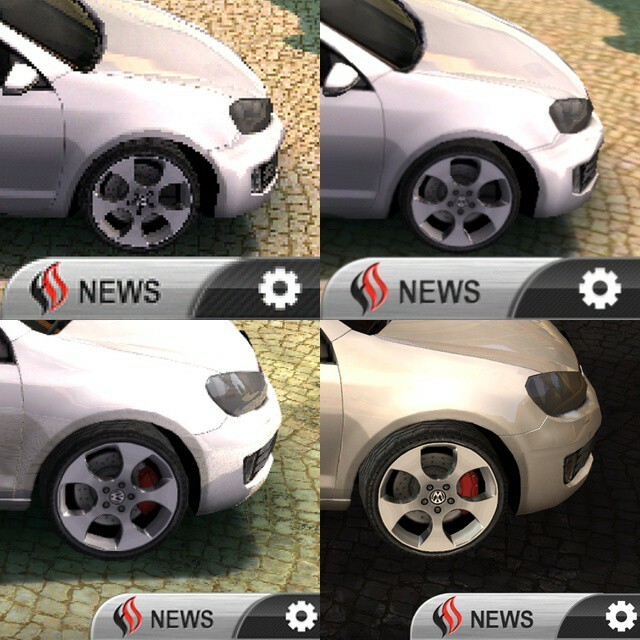 That’s why the fine folks at Touch Arcade grabbed screenshots of various versions of Real Racing running on the new iPad and the iPad 2. The results are astonishing. We’ve heard a lot about how the iPad 3 will finally get a 2048×1536 Retina Display, but it’s easy to forget exactly how many pixels that is. The scientific answer is “a gajillion.” Heck, when the Retina Display iPad 3 ships, it will actually pack more pixels than everything short of Apple’s 27-inch iMac! 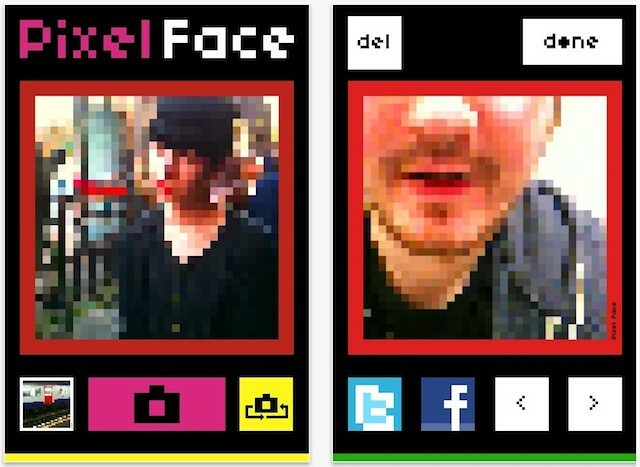 There are plenty of photo apps that do pixellation effects, but Pixel Face grabbed my attention because of the way it embraces the whole 8-bit world of pixels. It’s not just the photos that look colorful and retro, it’s the app itself. 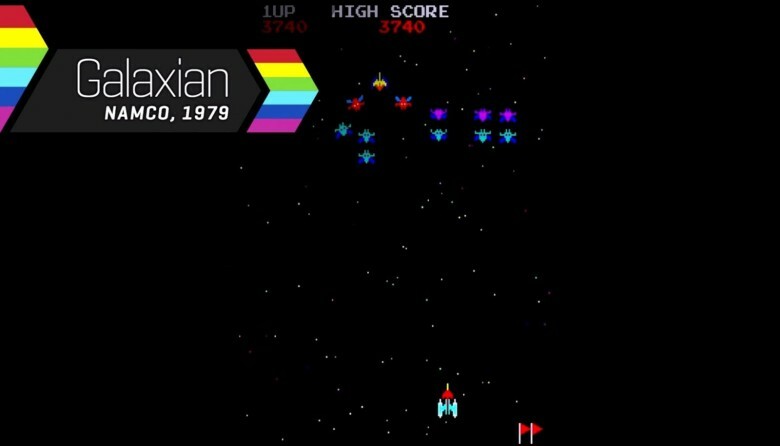 The buttons are cheerfully bright, the sounds are like something your games console used to do back in the 1980s.